This is an M.P. Moller pipe organ console with electropneumatic switching and combination action, showing considerable wear and tear after over 40 years of use. The same console after refinishing, and the installation of new drawknob mechanisms, solid state switching and enhanced multi-level combination action. 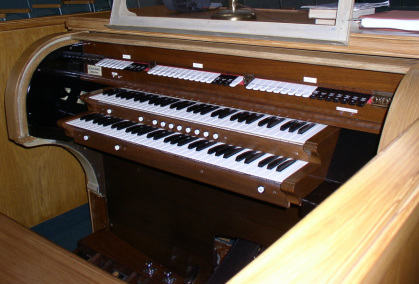 This ia a 1929 Reuter pipe organ console, originally with electropneumatic action which was upgraded to an electromechanical relay and console components in the early 1960's. 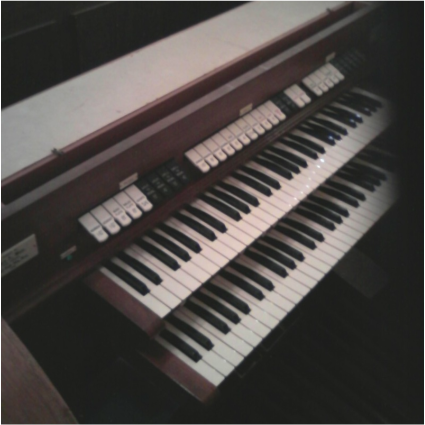 The same console after a recent rebuild, including the installation of new and additional stops, refinished stoprail, keyslips and key cheeks, solid state switching, and a new multi-level combination action. A 1928 Artcraft residence organ console, showing the wear and tear of decades of use. The console, which has a player unit installed on its top, had been disconnected from the organ for a long period of time and unused. The original console action was electric, but over the period of over eighty years it deteriorated to the point that nothing functioned reliably. The Artcraft console after stoprails and keydesk components have been refinished, swell shoes have been refurbished, with installation of new and additional stops (expanded specification), solid state switching, and a new and expanded solid state combination action system. The console electronics are all remotely-located, and connected by cables to the console itself. The knee panel has been removed to show the swell shoes and "excess cable trough" (on the right). This allows for extra cable, which would be needed to move the console for any service, to be stored within the console and out of the way. The only access to the interior of the console is from the front. Some of the original player action remains in situ, in the bottom of the console. The player mechanism itself sits on the top of the console. 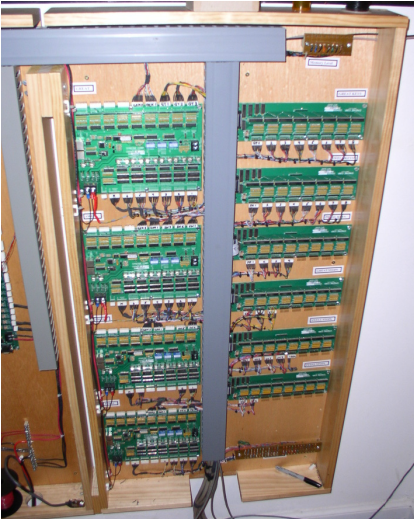 An example of a remotely located solid state switching system. This receives electrical impulses from the console and directs the proper stops and pipes to speak.